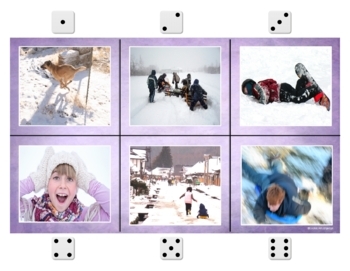 There are a lot of options packed into this fun winter freebie with real photos! 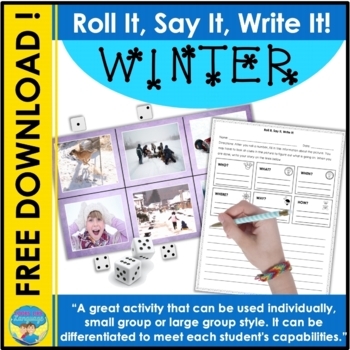 Students roll to determine which winter picture to talk or write about! 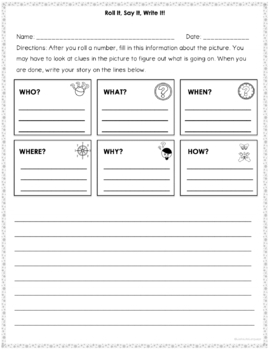 This activity works for small groups and in literacy centers. * Using the dice game board as an open ended game to work on skills you designate. 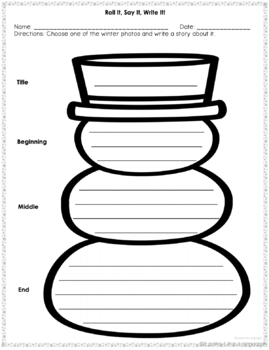 * Complete the snowman story organizer by writing a short narrative with a beginning, middle and end.